For those of you who are familiar with my blog, you are probably well aware that I’m big on supporting local and small businesses. (Hence my shop local series.) 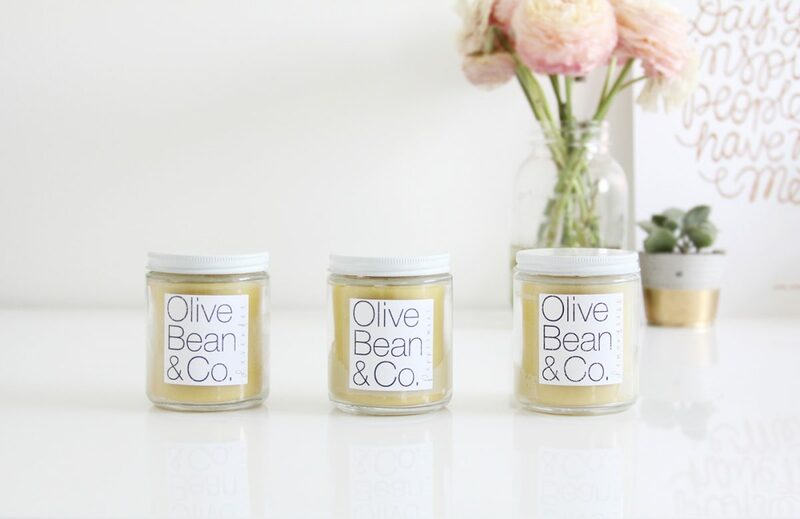 I recently discovered a local candle company called Olive Bean & Co. that I instantly became obsessed with – I just had to learn more and get my hands on some product! The more I learned about the products, the more I fell in love. The owner, Amanda, is an advocate for holistic health and Olive Bean & Co. is actually an extension of her holistic lifestyle brand, Honestly Nourish, where she shares healthy recipes and promotes healthy living from the inside out all while locally sourcing products and ingredients where possible. The candles Amanda creates are hand-poured made from beeswax, coconut oil and therapeutic grade essential oils. The wicks are made out of 100% natural cotton. She has also recently begun offering candle-making workshops. The beeswax used to create the candles are even locally sourced from a beekeeper in Durham Region, how incredible is that?! 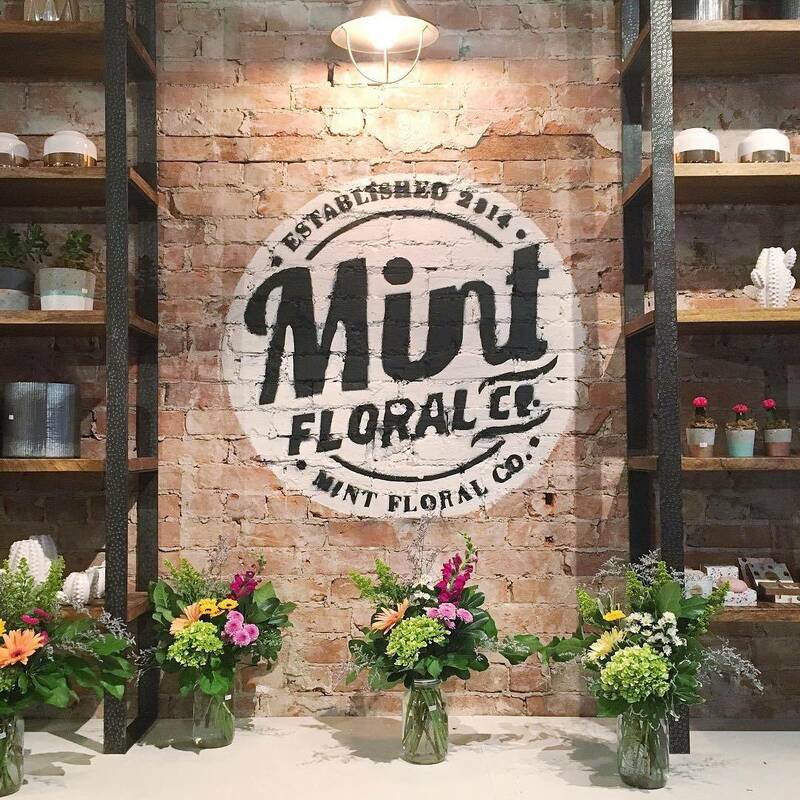 Recently, they underwent some renovations which were revealed at Historic Downtown Whitby’s annual “Shop Late, Shop Local” night. So, I thought I would take the time to share a few photos of the gorgeous space and write about them. It’s no secret that I have problematic skin. I’m generally pretty careful about the products I use since I break out really easily, get rashes and my skin tends to dry out with certain products. Face masks have always been a go-to beauty product for me to help control my skin and keep in some moisture. 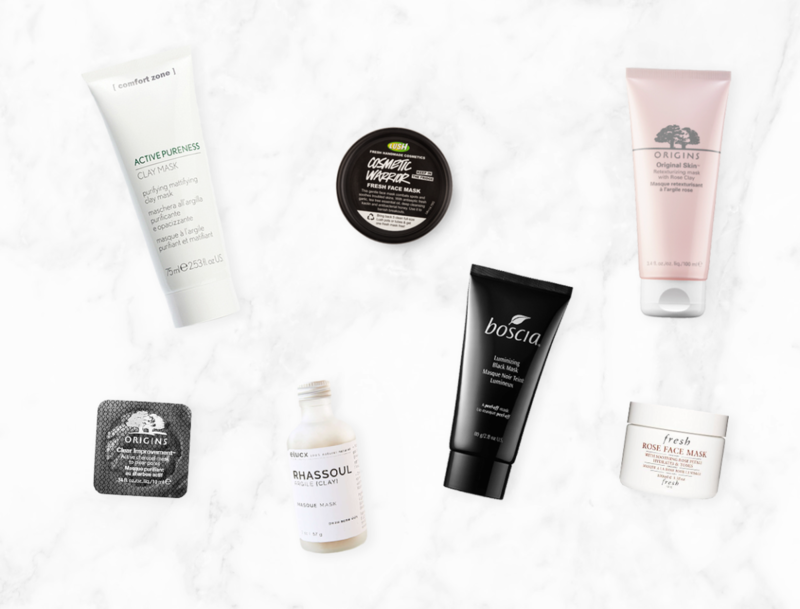 So, with this in mind, I thought I would share 7 face masks that are pretty great… at least in my opinion! You’ve heard me ramble on about Aide Bodycare many, many times before… enough to know that there never really will be a ‘last time’ ;). 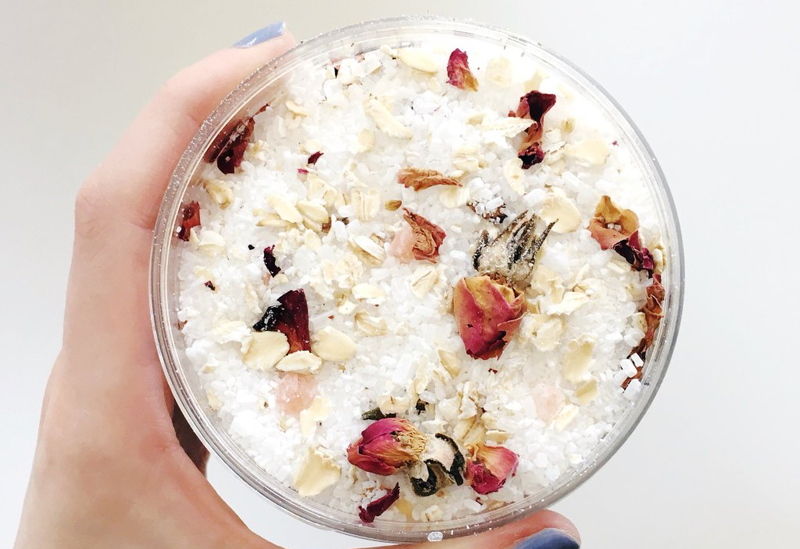 On my last visit to Michelle’s shop, she had a new feature that had me really excited: a DIY Bath Soak Bar. We all know I love a good bath and DIY. So naturally, I was pretty stoked. The Bar comes is loaded with epson and himalayan salts, tons of essential oils you can mix and play with, botanicals (I’m a big fan of the dried roses), oatmeal and more.